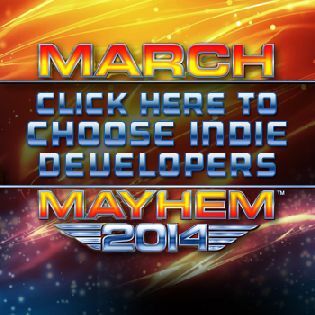 You have until February 10th when the polls close and the contestants are set for March Mayhem 2014. 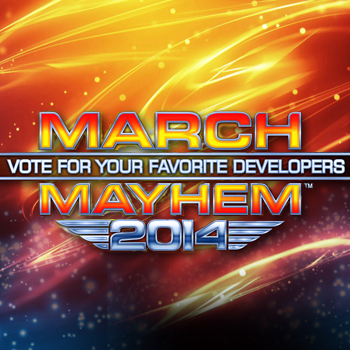 Only three days left until the polls close and the contestants are set for March Mayhem 2014. 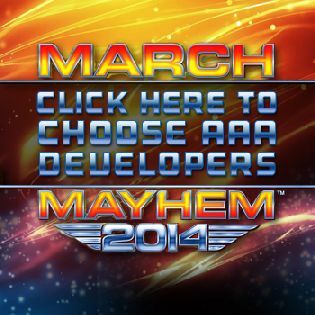 We don't want to leave anyone behind in our first March Mayhem developer poll so make sure to get in there before it's too late. We've put the choices in your hands this year. Previously we head right into March Mayhem, but this year we wanted your opinion. Why put the whole shebang in the hands of the community? That's because we have such an informed community that we want you, the people, make your opinion known about where the developers should be seeded. To help make the developer pool more inclusive we have divided them up between two different groups, the AAA developers and the Indie developers. The top eight from each pool will proceed to March Mayhem where you can choose first build your bracket of predictions, then vote on each round up to the big winner. Some of the past winners have been major development studios, some small, but this year we'd like to see how major AAA developers stand up to some of the most talented tiny Indie developers around. There are even a couple developers in the Indie pool that aren't companies or studios, but just one person that created their game from nothing. We'd like to give these people the chance to be seen and their fans heard. Make sure to get into the polls before they close on Monday, February 10th at 11:59pm.